Would you like to save more money during your sightseeing trip? The Munich CARD is your Travelcard for the public transport including discounts for the attractions, museums, shops and restaurants in Munich. Would you like to discover the whole city with all its sights more flexible? The Munich City PASS is your all-inclusive ticket to top attractions and public transport in Munich. Save money as everything is included in one low price. Hop-on Hop-off Bus: Free ride with Pass! Save 20% with Card! Olympic Tower: Free entry with Pass! Save 20% with Card! Deutsches Museum: Free entry with Pass (incl. Fast Lane)! Save 20% with Card! City Hall Tour: Free entry with Pass! Save 50% with Card! Experience the diversity of Munich’s highlights with the the Munich City Pass and Munich Card! 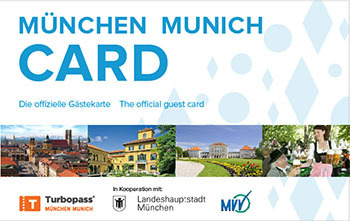 With the Munich City Pass and the Munich Card you will discover Munich the easy way and enjoy a stress-free stay! 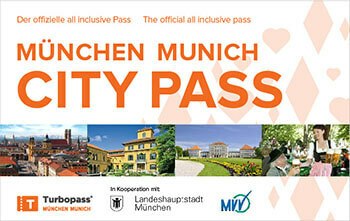 The Munich City Pass is the flexible all-inclusive ticket for your city trip. With the City Pass you are not only granted free admission to Munich's top sights but also free travel with the local public transport. The Munich Card offers flexibility as well by combining a ticket for the public transport with discounts to many attractions. Make more of your stay with these combi tickets and discover the Bavarian capital since there are a lot of things to do in Munich. How about a visit to the famous Nymphenburg Palace? Explore one of the largest royal palaces in Europe and its marvellous and extensive parks. The Residence Munich invites you to see the largest city castle in Germany. Visit the Lenbachhaus city gallery with the largest Blue Rider collection in the world. Enjoy even more art and culture and get free admission to the Alte Pinakothek, the Neue Pinakothek and the Pinakothek der Moderne. Admire outstanding works by the old masters such as Leonardo da Vinci, Vincent Van Gogh or Pablo Picasso as well as contemporary art. In Munich even sport enthusiasts won’t come off badly and can look forward to a diverse program. 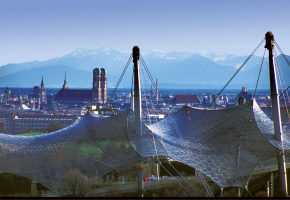 At the Olympic Park you will find some of the most significant buildings in Munich. Discover the Olympic Stadium, the Olympic Hall and the Olympic Tower with its fantastic viewpoint. Besides FC Bayern adventure world provides exciting insights into the successful soccer team. More free highlight with the Munich City Pass are the Munich walking tour and the Hop-on-Hop-off Munich tour by bus. 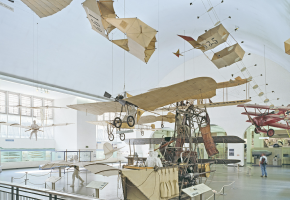 Don’t miss the Deutsches Museum which gives you an understanding of the masterworks of science and technology. Another popular Munich attraction is the church Frauenkirche, which is known as the city’s landmark. 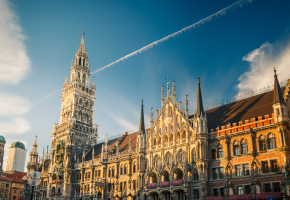 Munich’s vibrant heart, the Marienplatz, is located nearby. There the New City Hall offers an amazing view of the city from its tower. Listen to the famous carillon as well. At Viktualienmarkt you can enjoy a huge range of fresh fruits and vegetables, bread, cheese and specialities for gourmets. The traditional Hofbräuhaus offers regional dishes and the renowned beer. 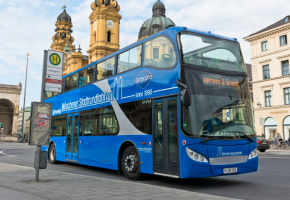 Experience these and many other exciting attractions with the Munich City Pass or the Munich Card and enjoy free use of the busses, the trains and the trams in the city at the same time.